Weekly Photos Challenge: Entrance – Happily After Retirement! Took a lovely tour inside Cabra Castle in Ireland last year. 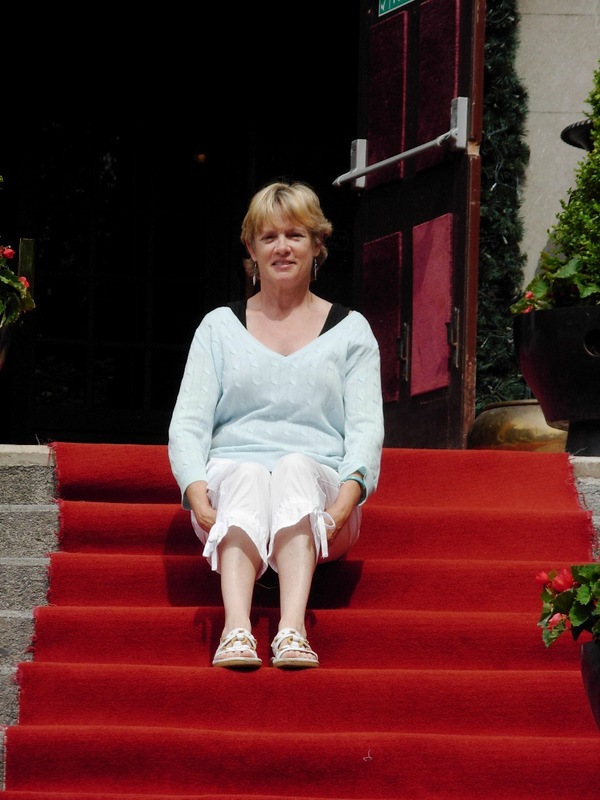 I felt like a queen sitting on these steps! Cabra Castle is less than an hours drive from Dublin Airport, and is the perfect location for a weekend break in an Irish castle. The castle is situated in the wonderful County of Cavan, which features a variety of activities and places to visit. The original Cabra Castle, the ruins of which still stand on high ground above the Wishing Well – not far from Cromwell’s Bridge, was situated to the west of the Kingscourt – Carrickmacross Road. The Castle and the land surrounding it is believed to have belonged to the O’Reilly Family until it was confiscated in the mid 17th century by Cromwell’s orders and given to Colonel Thomas Cooch. Colonel T. Cooch was born in Donegal in 1632 and was the grandson of Sir Thomas Cooch K.C. Sir Thomas Cooch K.C. had migrated to Ireland very early in the 17th century and was given a grant of 1,000 acres in Donegal by James 1. Where is this Marge? We’re going in September! Any other recommendations? This is Castle Cabra in County Cavan. It was one of the first places on the list! Another wonderful place we visited was Donegal to see the Famine Museum! What a great presentation of Ireland then and now – many similarities (minus the famine) of Irish leaving because the economy tanked so badly. Also learned to ask for ‘traditional Irish music’ otherwise you’ll find yourself at a pub listening to the Beatles or John Denver! It was my first of many castles that I visited! Everything was in bloom! It’s an opportunity to have links or pingbacks here on wordpress because they take me to places far from my homeland. I admire the castle you have for this post, Ma’am. It’s something we don’t have and probably never will see here in the Philippines. Thanks for sharing it! I only read this in fairy tale books. Now I see a real castle with a lady worthy to be a Queen to boot. Love the photo. The entrance makes me imagine of magical adventures as soon as I venture into the castle. This is quite an entrance! Mkmercurio is Queen for a Day! Love the photos. Looks like a very inviting place to be. You are most welcome for the pingback! 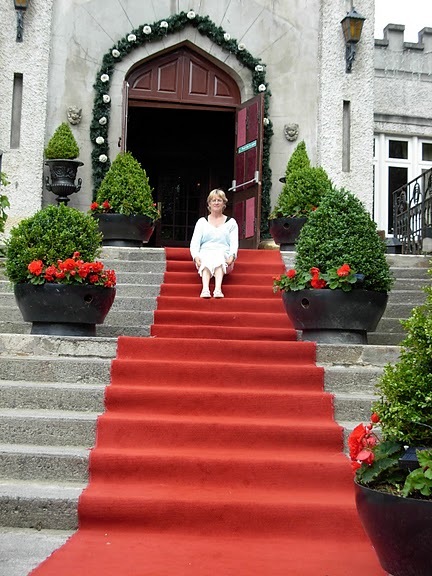 I felt like a queen sitting on the steps of this Irish castle last summer! You are most welcome! All the Entrance photos I’m posting are from my visit to Ireland last summer!